Description The Master of Materials Science and Engineering (MMSE) degree is a non-thesis, course-only master’s degree. 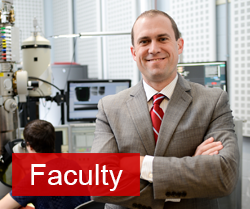 The MMSE degree is available to on-campus students and to distance education students enrolled through the Engineering Online (EOL) (http://engineeringonline.ncsu.edu) program. The same degree requirements apply to on-campus and distance education students. For distance education students who are already employed, the MMSE program enables them to further their education with a master’s degree that can be completed with the convenience and flexibility of online video lectures and exams administered by a local proctor. Eligibility Applicants to the MMSE program typically have a BS degree in Materials Science and Engineering (MSE), another field of engineering or a related technical discipline such as chemistry or physics. If your undergraduate degree is not MSE, the MSE admissions committee may recommend that you begin your graduate work at NC State in the Post-Baccalaureate Studies (PBS) program, as a Non-Degree Studies (NDS) student. You won’t lose any time. Up to 12 credit hours of coursework can be taken as an NDS student. If you are later admitted to the MMSE program, up to 12 credit hours can be transferred from NDS to the MMSE program. Only courses in which a grade of B or better is received can be transferred. Should you receive a grade lower than B in a course as an NDS student, this course will not transfer to MMSE and it will not be included in the calculation of your graduate grade point average (GPA). 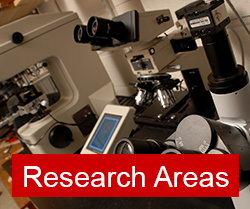 Per NCSU policy, a GPA of 3.0 or higher must be maintained to continue in any graduate program. So NDS is a low-risk way to “test the waters” in the MMSE program before committing to it. Once enrolled in NDS, it is recommended that you register for MSE 500 as your first course. This is a fast-paced overview of the field, and will give you a good indication of how well prepared you are for additional graduate level coursework in materials science and engineering. You can be reconsidered for admission into the MMSE program after you have successfully completed at least two MSE courses as an NDS student. All distance education courses in the College of Engineering are offered through Engineering Online (EOL). At the discretion of EOL, courses for which there is a low enrollment may be cancelled in any given semester. All MSE online courses are 3 credit hours unless otherwise noted. Consult the NCSU Course Catalog (http://www2.acs.ncsu.edu/reg_records/crs_cat/directory.html) to identify courses outside of MSE that may be of interest to you. Not all of these courses will be available online, nor will they all be available every semester. Consult the NCSU Registration and Records Class Search (link) to look for on-campus and online courses being offered in any given semester. Online courses are designated with a section number of 6xx. Consult the schedule of courses on the EOL homepage (http://engineeringonline.ncsu.edu) to determine which courses are available online in any given semester. How to Apply Information regarding the admissions process and a link to the online graduate application can be found here. (http://www.ncsu.edu/grad/programs/how-to-apply/index.php). When filling out the application, on-campus students should apply to the MR-MSE track. Distance education students should apply to the MR-MSE/MTZ (distance) track. have a minimum overall undergraduate grade point average of 3.0. have a minimum grade point average of 3.0 in the last 60 semester hours of undergraduate work. take the TOEFL exam if you are a non-native English speaker and achieve a minimum TOEFL score of 550 (PBT) or 80 (IBT). The institutional code for the Educational Testing Service to report TOEFL scores to North Carolina State University is 5496. International students who have successfully completed at least one year of full-time study in a degree program at a four-year US College or university are exempt from the TOEFL requirement. 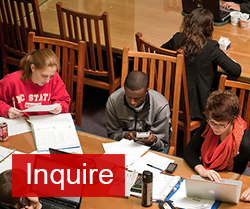 Detailed TOEFL score requirements and other general information about the Graduate School at NCSU can be found on the NCSU Graduate School Help Page (https://ncstategraduateschool.custhelp.com/app/answers/list/c/326). provide transcript(s) from your undergraduate institution(s). submit a statement of purposeGRE scores are not required for admission to the MMSE Program. Application Deadlines Applications will be reviewed by the MSE admissions committee after the deadline dates below. Applications remain active for one year after submission. complete a total of 30 credit hours of coursework. This must include a minimum of 18 credit hours from MSE 500-level and 700-level courses. The remaining hours may come from MSE or other technical disciplines. maintain 3.0 minimum overall GPA. Courses in which a grade of C- or lower is received will factor into your GPA but do not count toward completion of your degree. prepare a graduate plan of work (POW) upon completion of 15 credit hours of coursework. Instructions for creating and modifying a POW are available in MyPackPortal. After submitting your POW it will be reviewed by your advisor. If no changes are necessary, it will be approved by your advisor and the MSE Director of Graduate Programs. The POW can be modified as necessary any time before graduation. they have completed 18 credit hours and have a GPA less than 2.778, or they have completed more than 18 credit hours and have a GPA less than 2.667, or they have completed 30 or more credit hours and have a GPA less than 3.000. Transferring Courses A maximum of 12 credit hours may be transferred into the MMSE Program from another university or from the NC State PBS program, subject to approval by the MSE Graduate Program Director. Only courses in which a B or better grade is received are eligible for transfer. Projected MSE Courses To view the projected MSE Courses for upcoming semesters, please see our list of Projected MSE Courses. 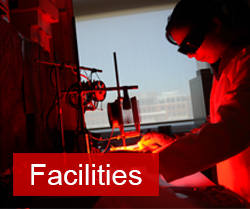 For information on all courses, please visit the NC State Course Catalog.